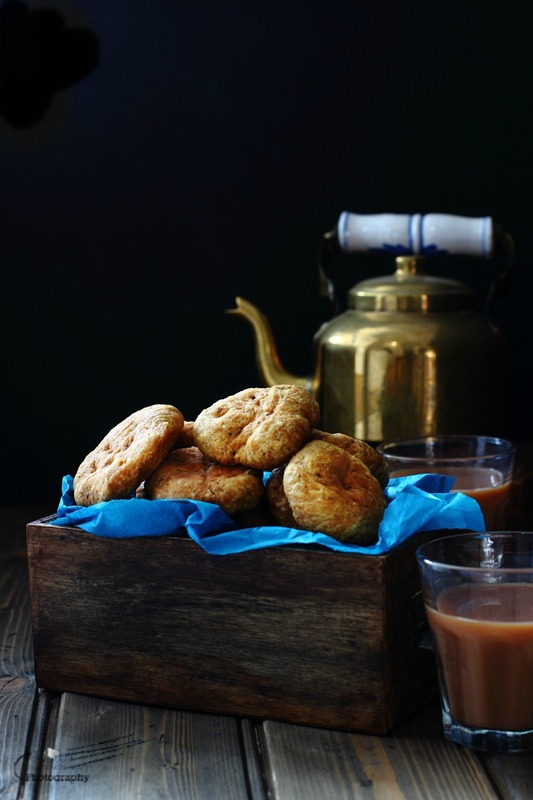 Porbandar Style Masala Khajali are a mildly spiced, deep fried biscuits, have a bite of this Khajali and see how it crumbles into thin flakes and melts in your mouth. 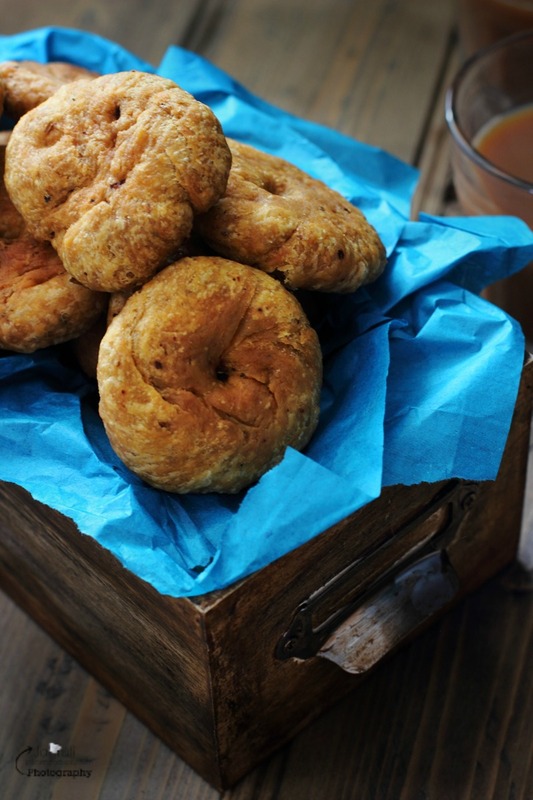 It is light, fluffy and a traditional snack which is irresistible and tastes best with hot beverages. 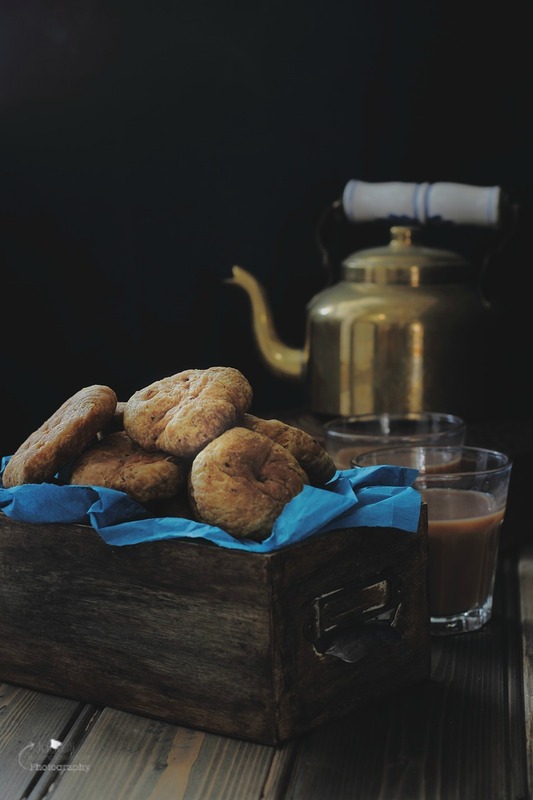 Porbandar is famous not only as birthplace of 'The father of the Nation' Mahatma Gandhi, but also it is famous for the delicious and irresistible Khajali. Porbandar, a city in state of Gujarat, claims it's monopoly. The name Khajali itself is an attraction, it is just mouthwatering, consisting of ghee, plain flour, and water. This is identity of Porbandar, it is a unique item of this city which consists of specialists for making it. There are three types of this Khajali that are most famous amongst the people of the city and Porbandar consist of at least 150 businesses and more than 500 experienced workers in this field who earn their bread and butter by producing the Khajali which gets fondly consumed by the locals as well as the tourists. On festive seasons Khajali is a big hit, not only that but Porbandar is the only city of India that exports Khajali all over the world. Variety of this produce is their expertise and pride, and they believe it's a more of a tradition and not just food. For me Khajali is nostalgic, reminds me of those special days and festivals of my childhood. Once the holy month Shravan begins and we all were eagerly waiting for the thread of religious festivals to come, on the day of Naag Panchmi or Shitla Satam dad would bring generous amount of Porbandar Ni Khajali, which comes in different varieties like, Mori (Plain ), Masala and Sweet Khajali and we would devour with Masala Chai. Although Khajali is considered as snack but meethi or Gari ( sweet ) Khajali remains the most favourable choice for festivals and happy occasions. Since I left India almost 3 decades ago, I haven't had any Khajali, whenever I visit India, one or the other reason I always leave Khajali out. So past few years I've been trying to nail the recipe of Khajali and this time I have mastered it, exactly like you would get in Porbandar and tatse is awesome and so fresh. 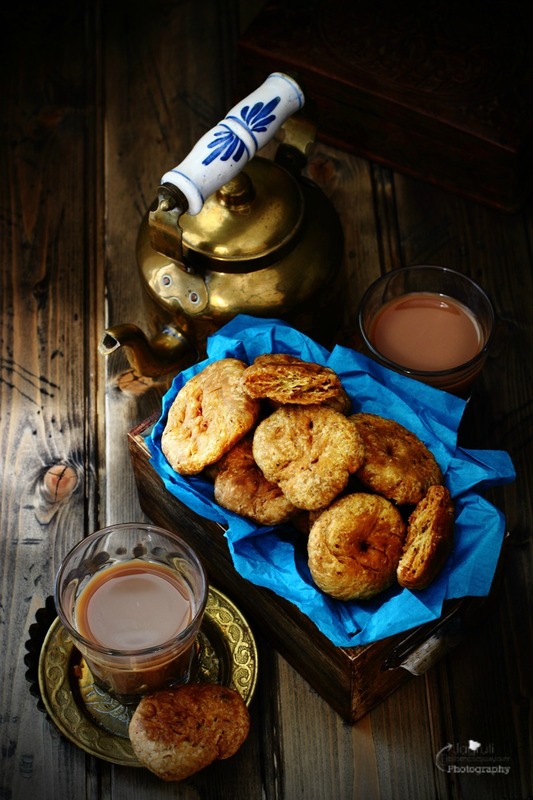 Are you tempted to eat or make Khajali ? Then don't hold back the eagerly waiting cook inside you, just put that apron on , follow this recipe and enjoy ! Plain Khajali can be made without adding any spices, just use flour, ghee and follow same process. Sweet Khajali recipe coming soon. Masala Khajli is a traditional Gujarati snack, which is deep fried, flaky and melts away in your mouth when eaten with hot masala chai. In a big bowl take plain flour. Add melted ghee and rub the flour with your fingers.once mixed properly add all the masala except oil. Combine well, and knead the dough with the little water. Knead the dough like chapatti flour. Cover the dough with the wet kitchen towel. Leave the dough aside for at least half an hour. Once you are ready to prepare the khajli, put oil to heat on a low heat. Don't heat oil on high heat. Now once again knead the dough for couple of minutes. Flatten one ball on the worktop, and press it with your fingers and make couple of holes in it, so it cooks well inside too. The thickness should be about 1/2 cm. Work same with the remaining dough.Gently slip pressed khajali into oil, fry the khajlis on a very low heat until you see flaky and light brown colour Khajali. Once done, leave it to cool completely. Khajali will become more flaky once it cooled down. Khajli can stay fresh for couple of weeks. 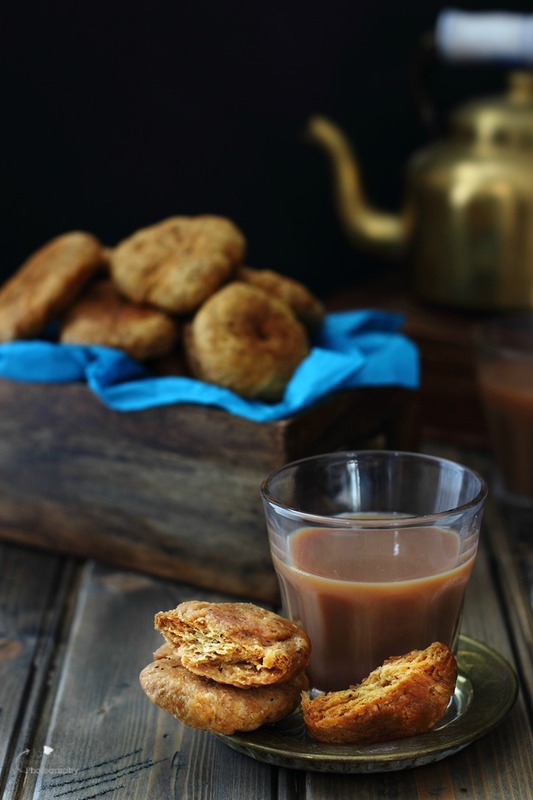 Enjoy with a cup of masala chai. Awesome Jagruti. Have been waiting for this recipe. Searched online and wasn't happy as they all look like the balushahi. 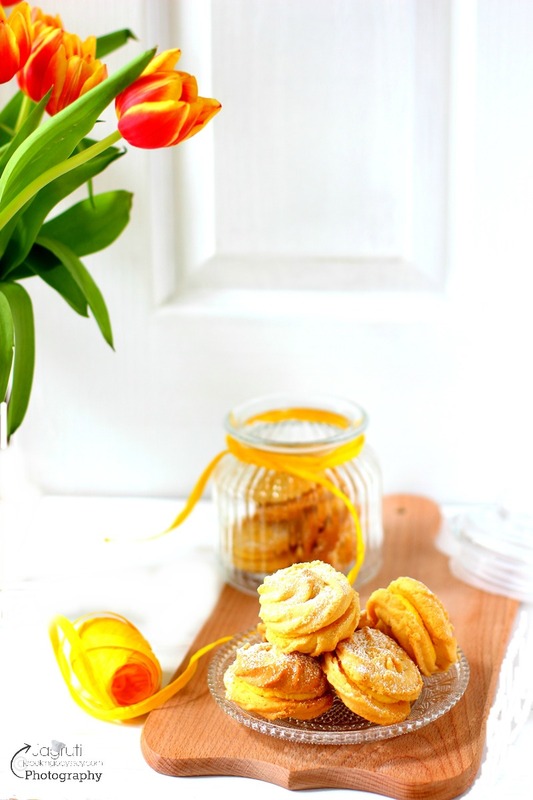 Waiting eagerly for the sweet preparation as I love them. My khajali was not too flaky and soft. What can be the reason. How soft should the dough be. Should I use self rising flour? Sorry to hear that. Dough should be fairly soft. 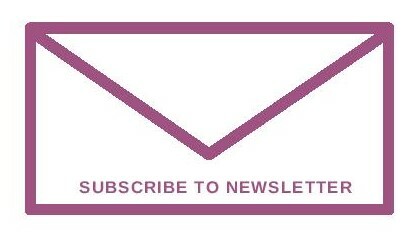 Have you checked your baking powder or soda ? stale soda or baking powder won't give the lift. Hope this helps. I have never heard of these before, but as I am a huge fan of cumin I know I would love them! That and the fact they're fried. Yum! Love the sound of those biscuits...so much flavor! You had me at "deep fried biscuits". These sound to die for! i love to try this!!! It would be so good I like with like a stew and chili!!! First of all, I must say most of your recipes are so new to me and really unique, Jagruti. I have been bookmarking many recipes from your blog and would love to bookmark and try this masala khajali too. 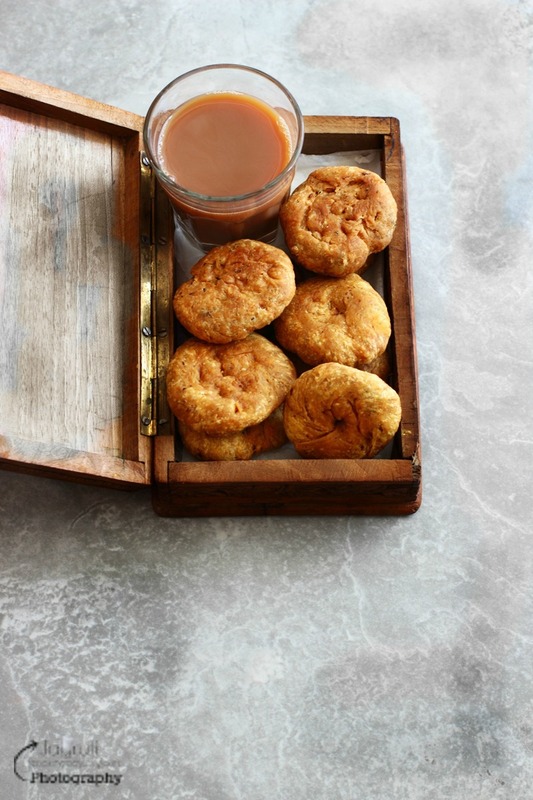 Looks so perfect with a cup of masala chai, what say? 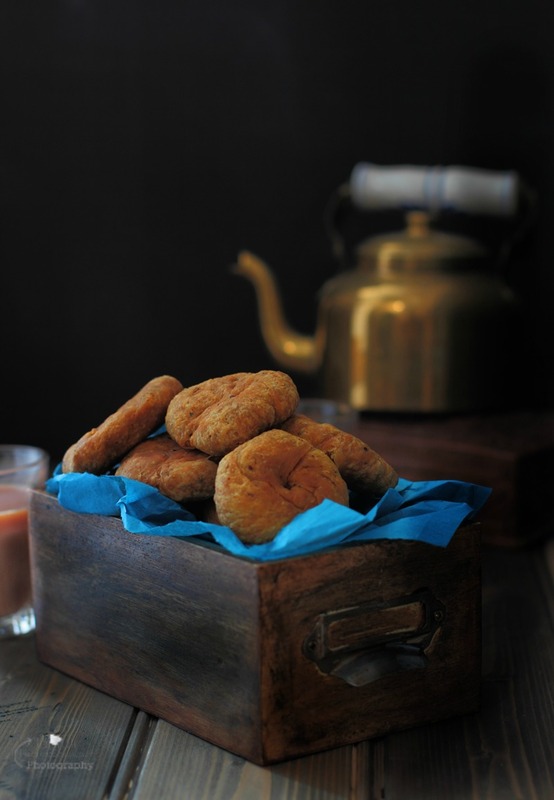 These deep fried cookies looks awesome Jagruti. Cumin chilli powder made these mouthwatering. Lovely share. Looks so delicious. I have never tried something like this before. Bookmarked to try this soon.